NOW Super Cortisol Support is a botanical and nutritional blend formulated to naturally support a healthy adrenal stress response. 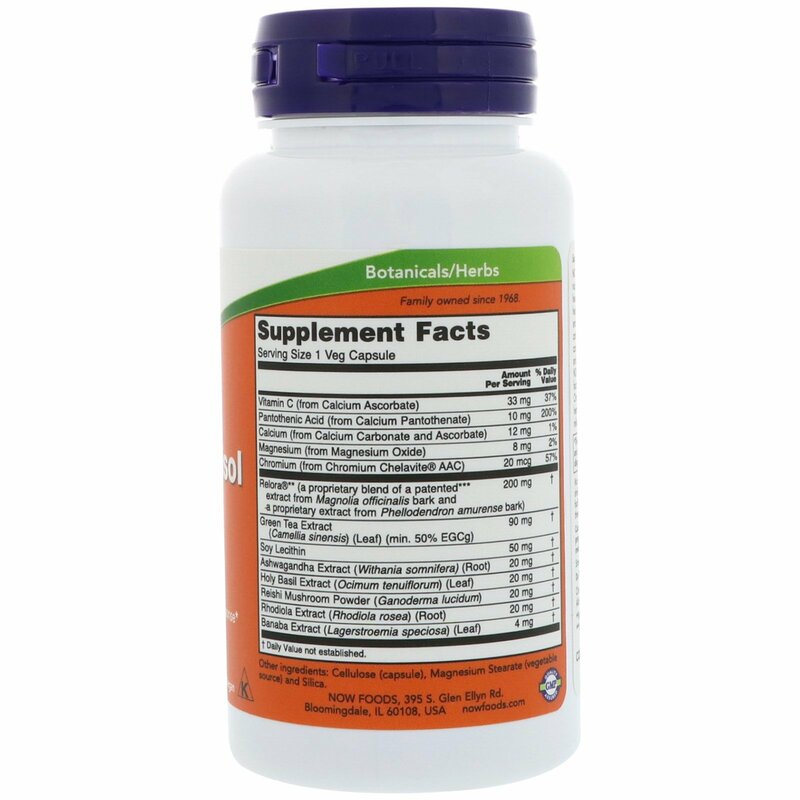 The adrenal glands help the body respond and adjust to physical, mental, and emotional stressors through the production of cortisol. 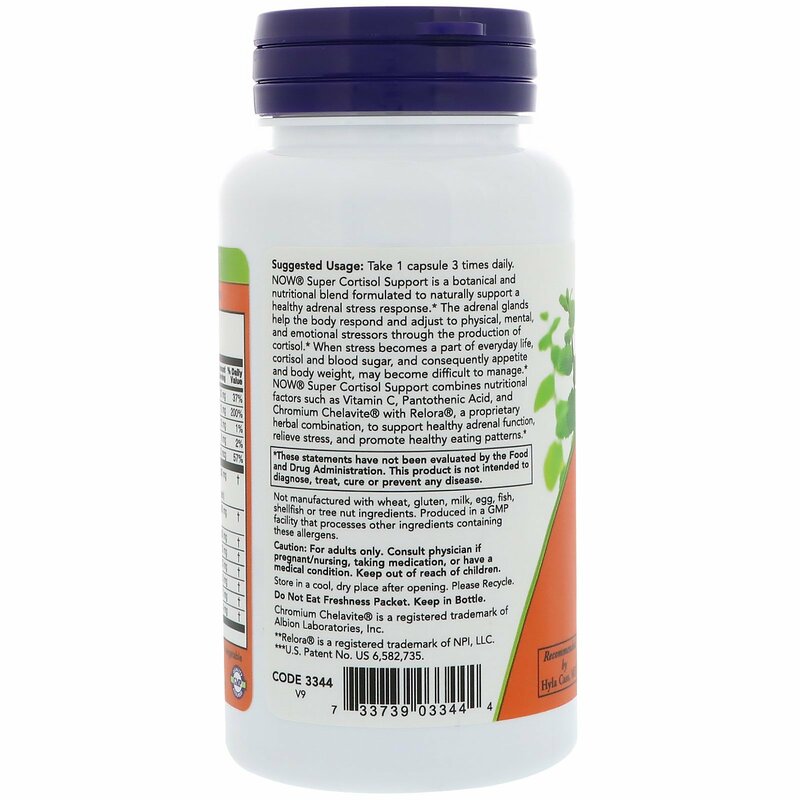 When stress becomes a part of everyday life, cortisol and blood sugar, and consequently appetite and body weight, may become difficult to manage. 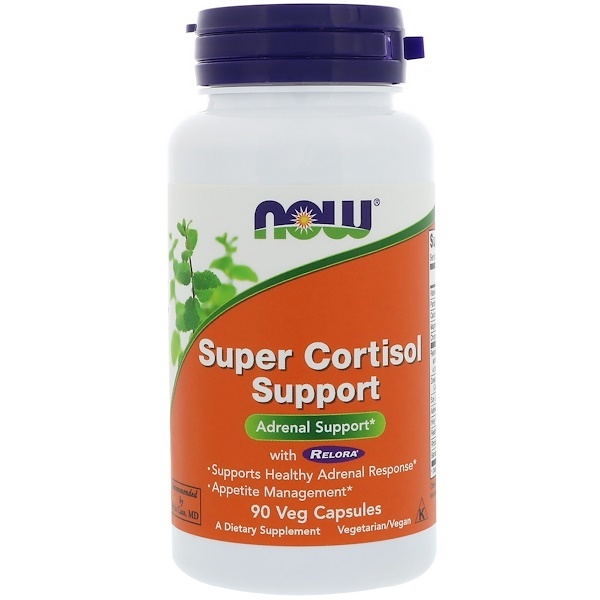 NOW Super Cortisol Support combines nutritional factors such as Vitamin C, Pantothenic Acid, and Chromium Chelavite with Relora, a proprietary herbal combination, so support healthy adrenal function, relieve stress, and promote healthy eating patterns.